Happy Wednesday! 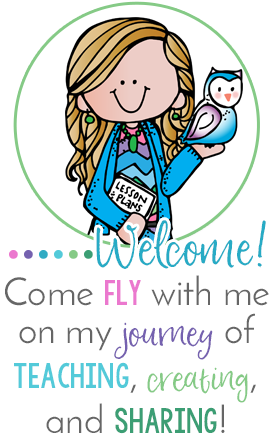 I have to run off for a meeting, but I wanted to share my Shades of Meaning Freebie with you first! My ELD students enjoyed this activity so much, and I feel they have a deeper understanding of this challenging concept. We began by discussing general words like hot, run, and nice. I showed them how we could look up the words in the thesaurus and find more words that mean basically the same thing, but are more specific. We had some great discussions! They had a hard time deciding the order for some of the synonyms for run. I told them that sometimes I have a hard time deciding the shades of meaning too, but we looked at the definitions for each of them, and this is what the students came up with. They wrote their words on their shades of meaning pencils after organizing them on their white boards. The next step of this activity is to write sentences using five of the words. They will be working on this today. You can grab the freebie by clicking on the picture below. 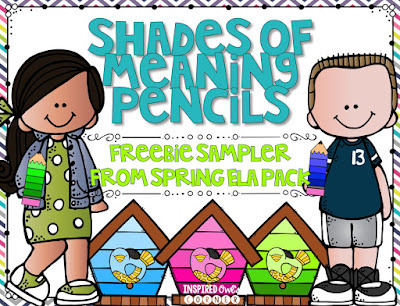 This freebie is part of a larger Spring ELA set that you can find here. 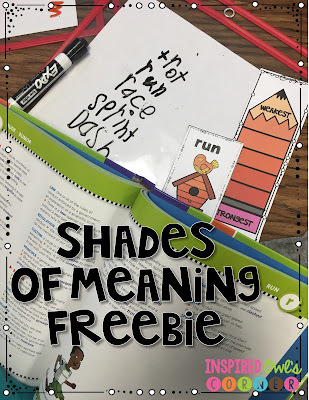 The pack has more shades of meaning task card practice, as well as apostrophe, commas, verb tense, homophone, prefix, suffix, and parts of speech task cards practice. 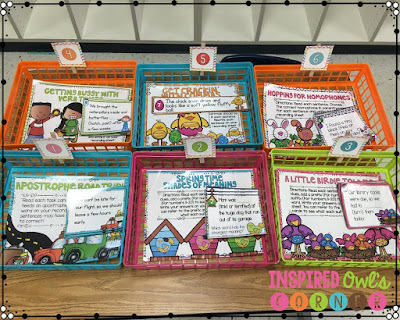 I love using these in small groups and posting them around the room for my fast finishers to work on.